After two years and about five terabytes of footage, Thomas Pöcksteiner and Peter Jablonowski have created an unforgettable time lapse of their country. In less than three minutes, you can really appreciate the sheer natural and cultural beauty of this alpine nation of 8 million. I stumbled upon an ancient but fairly obscure practice that sounds right out of fantasy: “living bridges” created from the carefully directed roots of rubber trees. I credit this discovery and the following photos and details to the blog Root Bridges. Again, it looks like something out of a folktale or fantasy novel — very Tolkienesque. It is hard to believe that multiple bridges like this are done by hand without killing the trees involved. 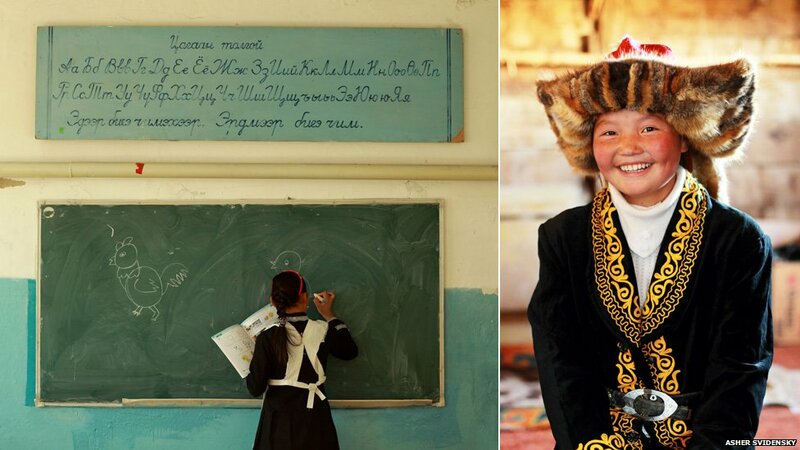 This practice is not documented to occur anywhere outside of the town of Cherrapunji, which is located in the remote Meghalaya region of northeastern India. That is because this is the wettest place on Earth, which makes the building of bridges and other infrastructure extremely difficult. So to get across the many rivers of the region, the indigenous War-Khasis tribe turned to the native ficus elastica, also known as the rubber fig, which thrives in this humid environment. The tribe long ago noticed the flexible yet sturdy nature of the tree, especially its secondary roots, which grow from higher up the trunk. But rather than harvest its wood, the tribe “shapes” these appendages roots into a makeshift bridge, using an ingenious but simple method. First they obtain the thin but sturdy trunk of the plentiful areca palm, slicing it down the middle and hollowing it out like a pipe. Then they slide the roots of the rubber fig through it, creating a guidance system that prevents the root from fanning out, making it grow straight instead. Gradually, over a period of ten to fifteen years depending on the length, the roots will reach the other side of the river and be allowed to anchor in the soil. Time is given to allow the roots to get sturdier and more secure, but once that happens, they remain incredibly resilient: some can reportedly support the weight of dozens of people at a time. And since they remain alive and growing, these living bridges continue to gain strength over time, with some bridges said to be five centuries old. The one bridge featured prominently in this photo set is the Umshiang Double-Decker Root Bridge, the only known bridge of its kind. 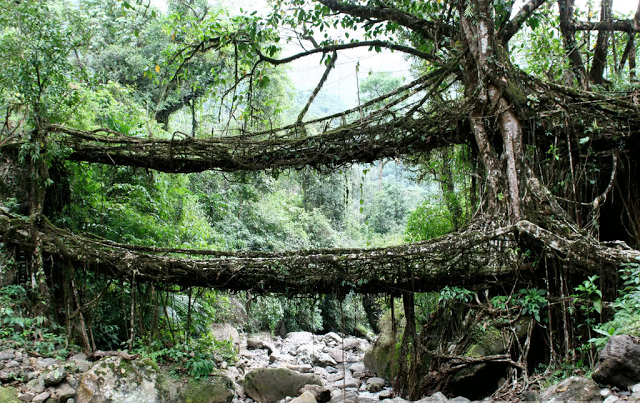 So even by the incredible standards of root bridges, it is unusual. More photos below (click to enlarge). This fascinating practice has actually spurred me to write a short fantasy story about mythical tree shapers. I love it when the beauty of the real world both captivates and inspires. Often times, the process of making art can be a thing of beauty onto itself. This has been beautifully conveyed by a video from the California-based American Museum of Ceramic Art, which depicts several ceramics masters creating a masterpiece as part of the 5,000-year ceramics tradition of Icheon, South Korea. The seven-minute video is beautifully done in its presentation; it made me feel at peace during my lunch break. The focus on each craftsman’s precision, patience, and attention to detail is breathtaking, highlighting just how much goes into those beautiful artistic pieces we so effortlessly view and admire. The video was released in 2013 to mark the first-ever exhibition of over 230 Korean ceramic pieces on American soil. Unfortunately, “ICHEON: Reviving the Korean Ceramics Traditions”, has long since passed, although you can see some photos and information about it here. I’d definitely love to pay a visit to this interesting museum someday. Video is courtesy of WIMP.com and my dear friend Drake for bringing it to my attention. Valletta is the capital of Malta, an island nation of around 400,000 people located in the middle of the Mediterranean Sea, about 50 miles south of Sicily. One of the world’s smallest and most-densely populated countries, Malta has been inhabited since 5,200 BCE and is brimming with history and culture — some of the world’s oldest free-standing structures can be found here. The country’s strategic location has led to its changing hands numerous times throughout history, being ruled and influenced by dozens of distinct cultures and nations. This is one reason why Valletta is such a jewel. Built during the rule of the Order of St. John of Jerusalem, also known as Knights Hospitaller, the city contains a rich collection of architectural styles from the 16th century onward, mostly Baroque followed by elements of Mannerist, Neo-Classical and Modern architecture. The City of Valletta is so beautiful and well preserved that is was officially recognized as a World Heritage Site by UNESCO in 1980. The official name given by the Order of Saint John was “Humilissima Civitas Valletta” — The Most Humble City of Valletta, or Città Umilissima in Italian. The beauty of the city’s churches, gardens, and palaces earned it the nickname among European elites as “Superbissima” — Most Proud. I certainly agree with that sentiment. 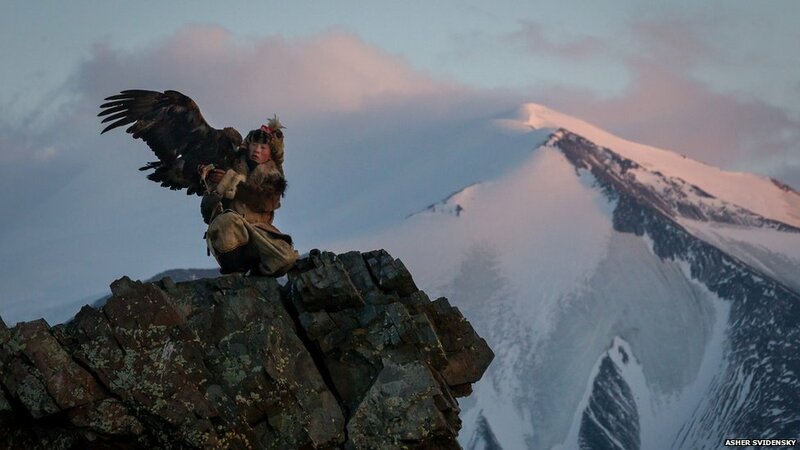 This is Ashol-Pan, a 13-year-old Kazakh eagle huntress living in the rugged Altai Mountains of western Mongolia. 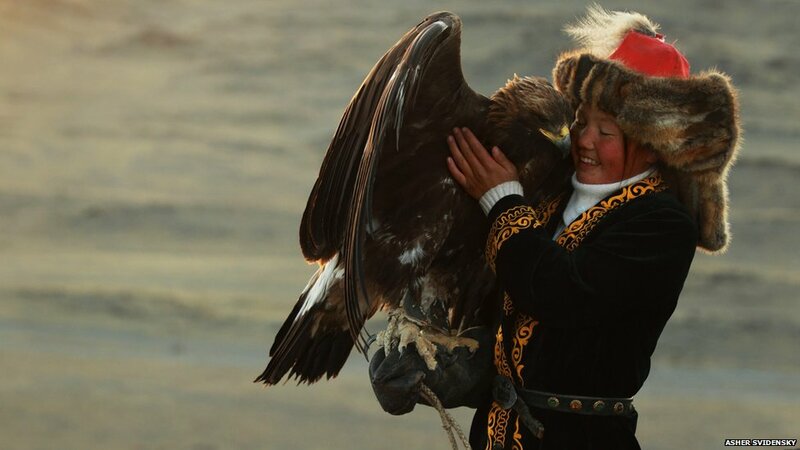 The daughter of a famous hunter, she’s one of only 400 practicing eagle hunters, and the only known female to ever partake in the tradition in its 2,000-year history. 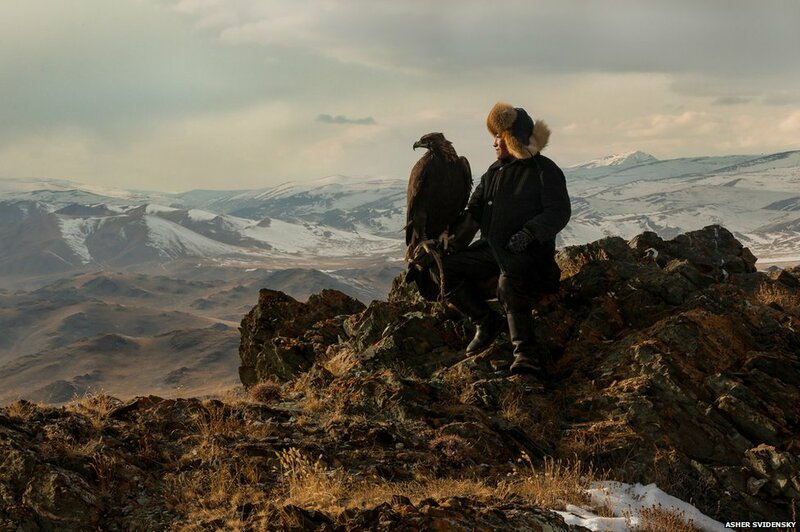 The Kazakhs of the Altai mountains are the only people that hunt with golden eagles, which are taken from nests at a young age. Females are chosen due to their larger size — the typical adult is around 15 pounds, with a wingspan of over 90 inches. Hunts occur in winter, when the temperatures can drop to -40F. 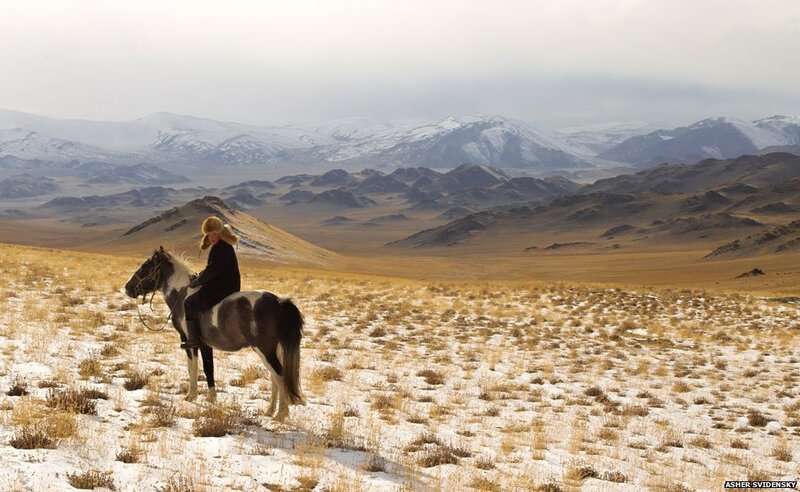 Hunters work in teams, trekking on horseback for days in order to reach a mountain or ridge for a better view. When an animal is spotted, riders charge towards it to flush it into the open, and an eagle is released. If the eagle fails to make a kill, another is released. 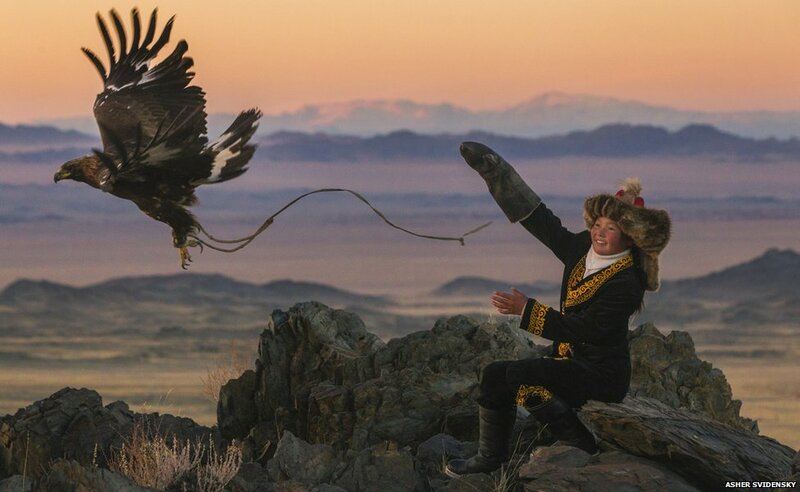 After years of service, a hunter releases his mature eagle once and for all during the spring, leaving a slaughtered sheep as a farewell present. This ensures that the eagles go back to nature and have their own strong newborns, for both their future and those of the hunters that depend on them. Chen was working as a local reporter in Dayton, Ohio, almost 20 years ago and wanted a chance to be an anchor. What her news director told her at age 25 is pretty startling. Chen said his speech felt like a dagger to her heart. Stories like this are why I frankly don’t blame folks for getting cosmetic surgery. Given that so many people are savaged for their looks or pressured (directly or implicitly) to change their appearance, making such a decision is sadly understandable (albeit not in every case). There’s plenty of empirical and scientific evidence showing that attractive people have a natural edge in the way they’re treated, regarded, or judged in unrelated areas such as talent (e.g. the halo effect). Granted, the pressure to look good — and the subsequent benefit of doing so — is nothing new. It’s just that there is now newer and better options for doing so. It’s interesting to note that people who get surgery receive a lot of flak for that decision as well, which drives home the point that unless you win the genetic lottery and happen to already look a certain way, you’re disadvantaged in certain areas or social circles regardless. Chen’s decision is also indicative of the fact that beauty in our society, as well as in others influenced by our culture, is increasingly defined by looking as close to caucasian as possible. This is evident in the fact that few non-white women reach prominence in fashion, film, or other public venues, and those that do make it tend to look closer to “white” — hence why methods like skin bleaching and eyelid surgery have become more popular around the world. To be clear, provided they do it safely and within reason, I don’t think anyone should receive additional scrutiny nor be looked down upon for changing their appearance in this way. It’s yet another innovation in our historical, socially-conditioned obsession with beauty, just as make up, hair dye, and other methods once were. Granted, it’s the most long-lasting and radical means (so far), but the motivation and concept remains the same. People are entitled to do what they will with their appearance, just as they’re allowed to let themselves go and defy standard conventions of beauty. Now, there are certainly cases where people are risking their health, finances, and (ironically) their appearance in order to look a certain way. It’s been argued that such instances denote psychological and personal problems that must be addressed. In that instance, I’d be worried and seek to get involved. Of course, I’m not saying it’s necessarily good thing that people feel the need to go to these lengths, just that it’s unfortunately driven by social and (arguably) natural conditioning that’s difficult to resist. If we want to minimize the practice, we need to stop privileging attractiveness and telling people they can’t follow their dreams unless they look a certain way. As always, however, I could be wrong, at which point I invite you to share your own thoughts. This is the most remarkable thing I’ve seen in awhile; science as an artform. Stop what you’re doing and watch this. It’s a video of sand. Sand skittering around on a vibrating plate, to be exact. But what happens when that sand skitters is amazing. Trust us – this is something you want to see. What you’re watching is the Chladni plate experiment, as performed by YouTube science-and-illusion wizard Brusspup (he can also coax water into a zig-zagging stream, and make Rubik’s Cubes that aren’t Rubik’s Cubes). I find it interesting that whenever a very attractive person — particularly a woman — demonstrates above-average intelligence or skill, it genuinely surprises most people. Similarly, I’ve seen people marvel at how a “nerdy” person can be athletic or charismatic. Needless to say, those peers who are both attractive and intelligent feel endless frustration at being reflexively labeled based solely on their looks and initial impression. But this is nothing new, as humans were evolved to make quick judgements based little data — it’s a survival mechanism that has remained, often misapplied, in the modern world. In this instance, we seem to unconsciously associate good looks with stupidity or, at most, average intelligence (admittedly, I think even I have been guilty of this visceral stereotyping). I’ve read a hypothesis suggesting that this correlation reflects a form of evolutionary compensation: if one isn’t attractive, they make up for it by making themselves desirable in other ways; similarly, an unskilled or unintelligent person may harness whatever charisma or physical attractiveness they have to influence others or burnish their image. We see this pattern and therefore apply it in how we judge and analyze people. In any case, it is interesting to note that traditionally (and for the most part to this day), heroic and virtuous characters in various media have almost always been portrayed as good looking, and intelligence is rarely shown to be mutually exclusive with physical attractiveness. Of course, this too likely reflects our evolutionarily-induced preference for well-rounded, attractive people. Anyway, has anyone else noticed this? Is there a reason for these correlations? What are you thoughts on this? It’s amazing what a change in perspective can do, either to the sense or towards are perception of reality. There’s beauty all around us, depending on where, how, and – more importantly – if we look. It’s easy to take for granted the strange and amazing worlds that exist out of sight and out of mind. To think that our own eyes, which we’re rarely conscious of, harbor so much beauty. There’s much more to see if you click here. Also check out the artist’s website here.